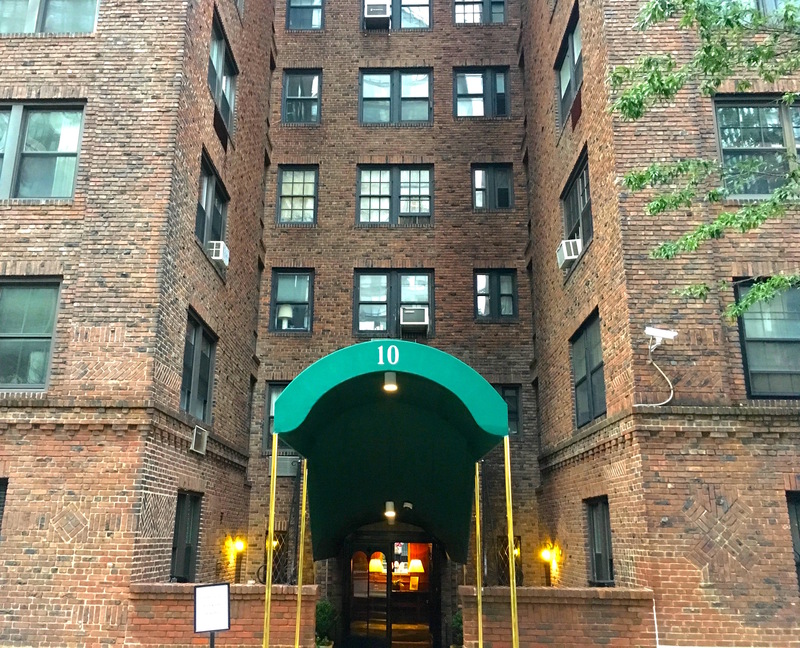 Upper Manhattan was the last part of the island to be developed, and well into the late 19th and even early 20th century, large swaths of Harlem, Washington Heights, and Inwood still retained a rural character—with woods, fishing boats, even cow pastures. That unspoiled, bucolic feel is apparently what drew Gustav Wolff to the upper reaches of the city. 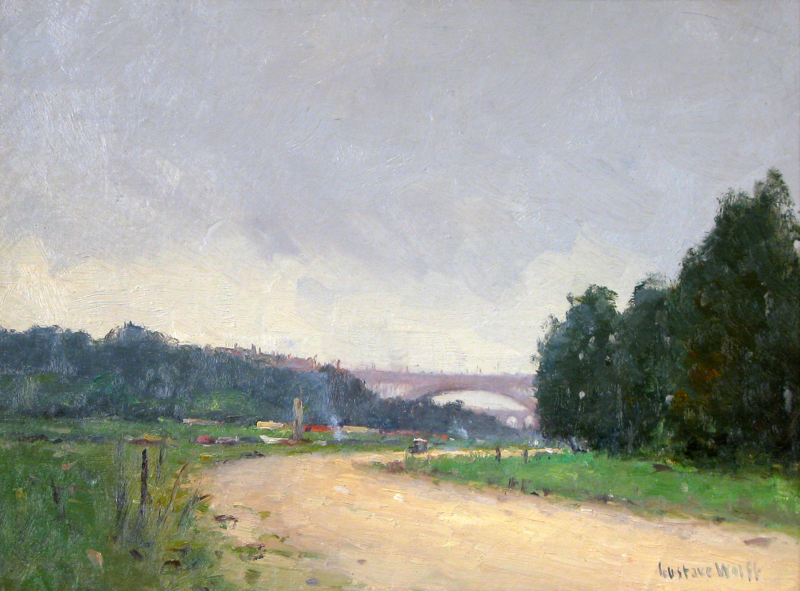 Wolff, a German-born landscape painter who studied in St. Louis with Impressionist Paul Cornoyer, arrived in New York in 1917, according to the St. Louis Historical Art Project. His turned his eye toward “grittier scenes of industrial and urban landscapes,” according to the SLHAP. 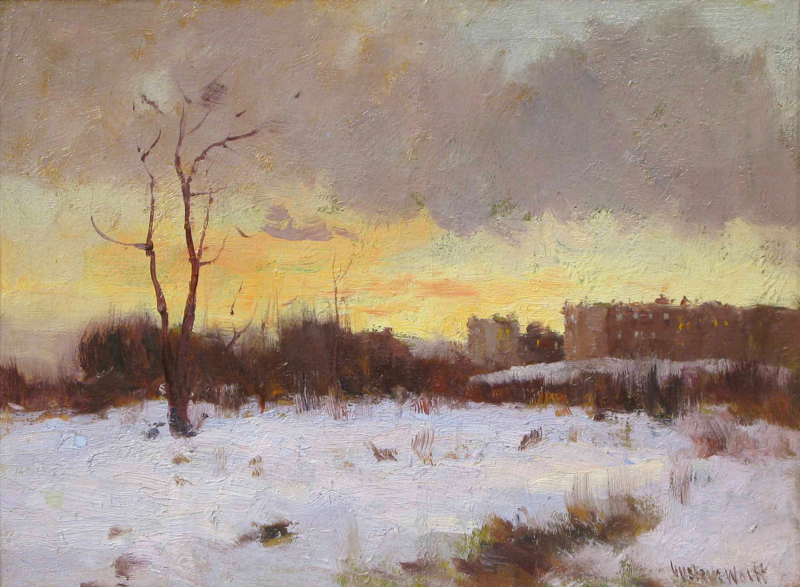 But it’s his landscapes of a more natural Upper Manhattan that stand out. 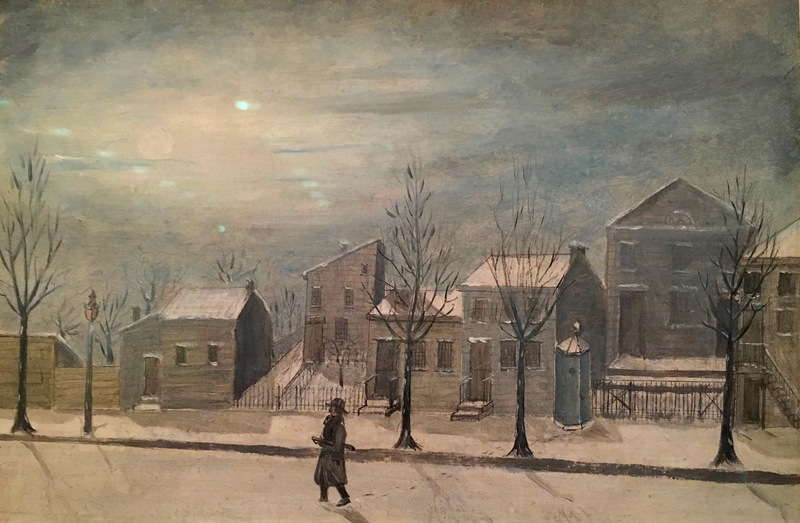 The painting at top, “Close of Day, Harlem,” gives us a snow-covered tract of land, with a row of new, encroaching tenements not far behind. 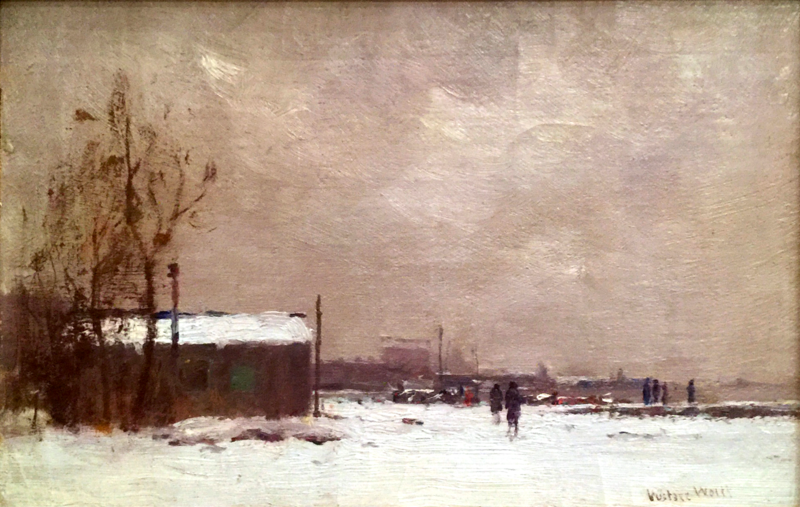 The second image, “Harlem River Factories, New York,” dates to 1894, likely done during an early visit to Gotham. On the eve of the 20th century, Wolff captured a few smokestacks and warehouses amid tugboats and small houses dotting the shoreline. The steel arch Washington Bridge is clearly recognizable in the next painting, “Washington Heights Bridge, New York.” Opened in 1888, it still stands, linking 181st Street to Sedgwick Avenue in the Bronx. 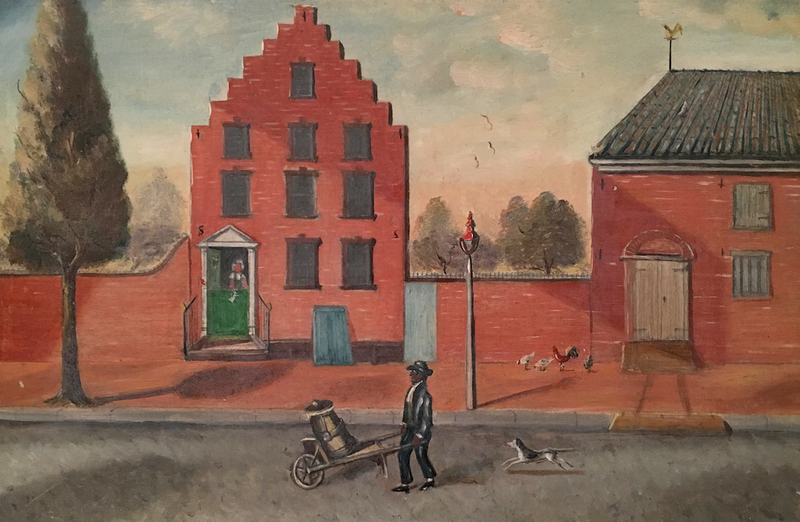 Dyckman Street was a country road in colonial New York—named after the Dyckman family, the Dutch farmers who built the sandstone Dyckman Farmhouse on Broadway and 204th Street, now a museum. 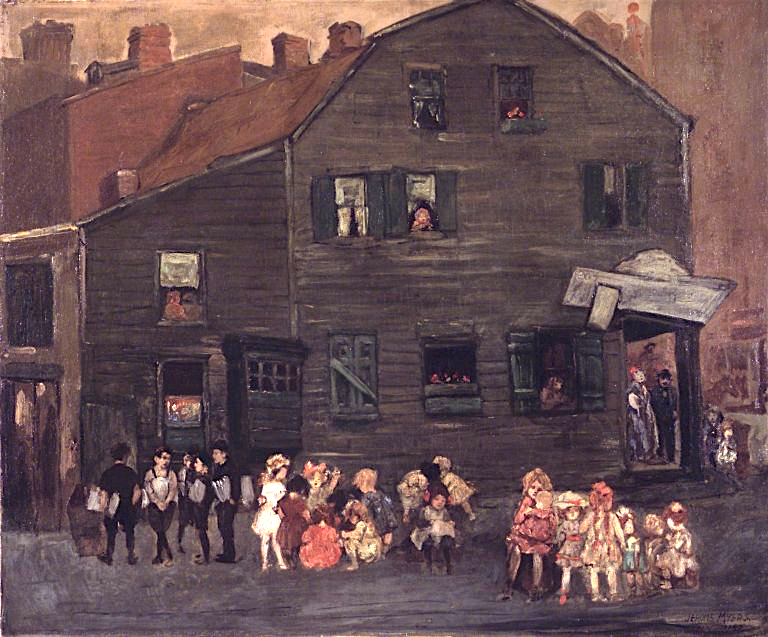 In Wolff’s painting above, “Dyckman Street Docks, Manhattan,” the farms are gone, but urbanization hasn’t yet arrived. 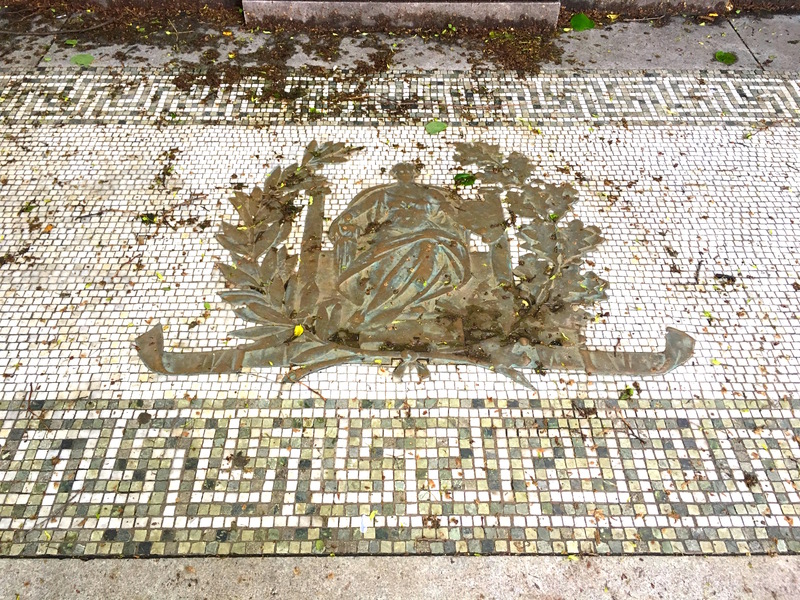 Fort Tryon Park is one of the last vestiges of Upper Manhattan’s rural past. 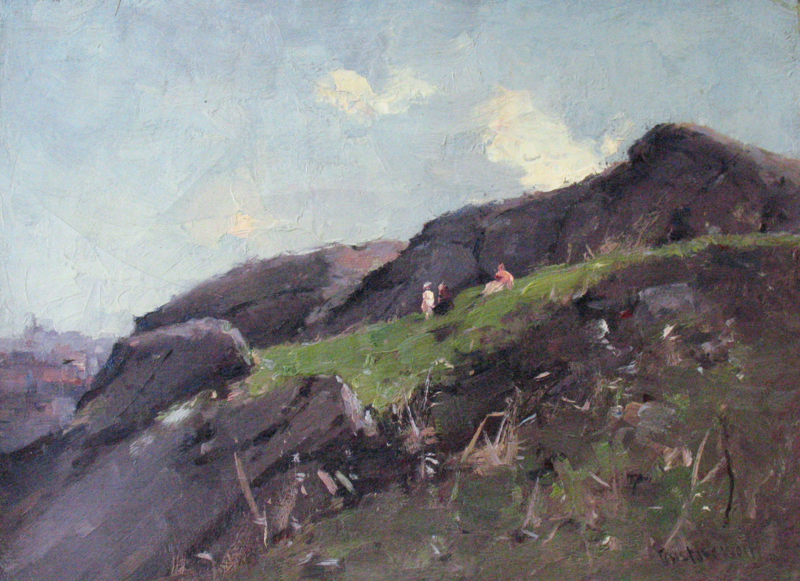 Here, Wolff painted what appear to be children on the rock outcroppings at the Overlook, with tenements and creeping industrialization in the distance. The overlook lent its name to Overlook Terrace in Hudson Heights, and thanks to the Fort Tryon Park Trust, you can experience it without getting up from your screen. French Modernist painter Henri Matisse has many of his still lifes, figures, and landscapes on display in New York’s most distinguished museums. 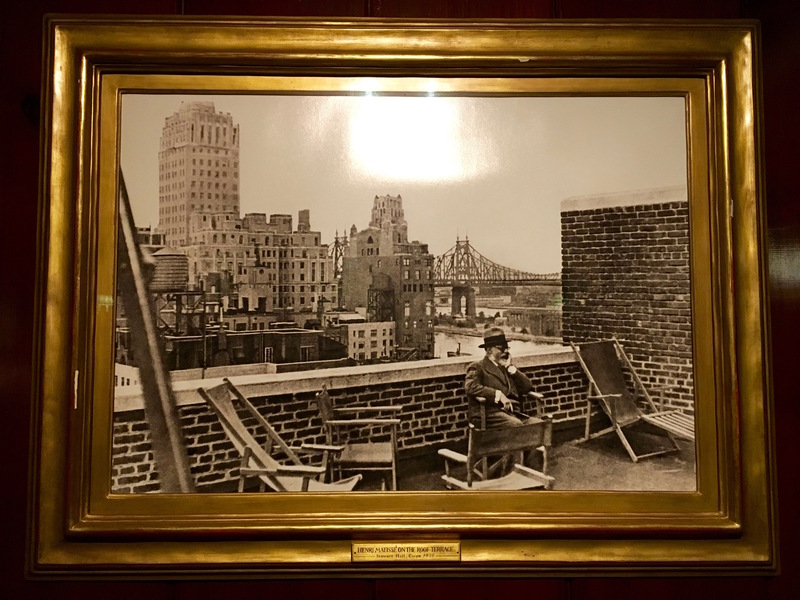 But there’s only one place in Manhattan where a little-known framed photo of Matisse is always on display, with the Depression-era city skyline behind him. You can see it yourself if the doorman decides to give you a peek. The black and white photo, from 1930, is in the small lobby of 10 Mitchell Place, a charming 13-story prewar apartment house built in 1928 that was originally called Stewart Hall. Never heard of Mitchell Place? 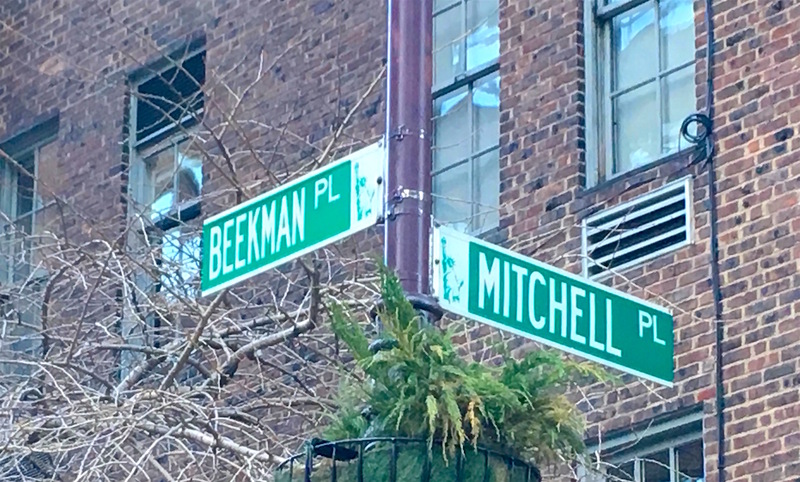 It’s a secret sliver of a street running from First Avenue to Beekman Place in a quiet neighborhood of old world charm—perfect for an artist more accustomed to Nice than New York. In the photo, Matisse is sitting in a chair on the building’s brick roof terrace. 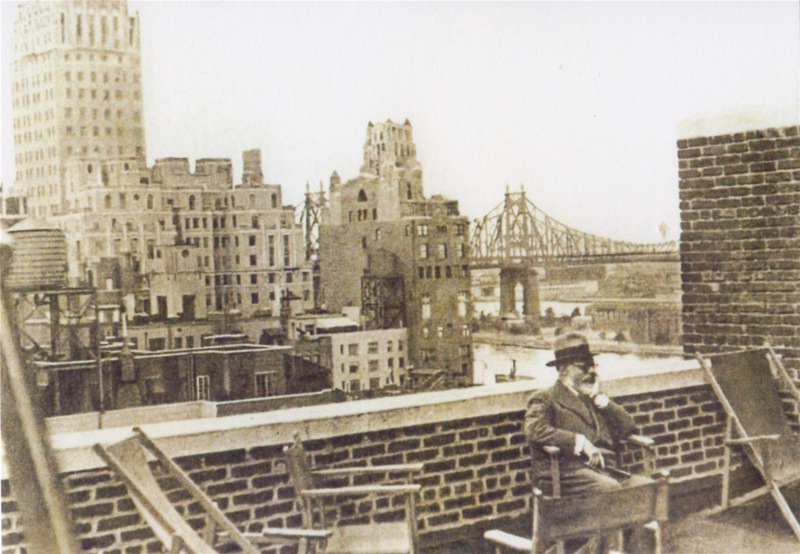 With his left hand holding his bearded chin, the artist looks contemplative amid a backdrop of apartment buildings, water towers, and the Queensboro Bridge. What brought Matisse to Mitchell Place? I wonder if he’s in New York visiting his son. 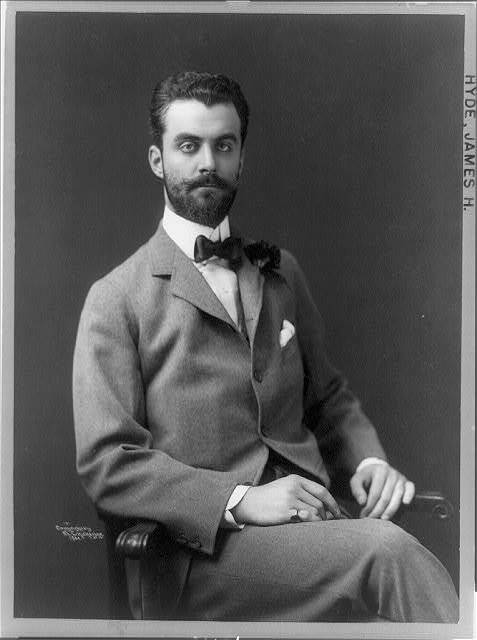 Pierre Matisse moved to New York in the 1920s to become an art dealer and opened a renowned art gallery in the Fuller Building on East 57th Street. Apparently Matisse came to Mitchell Place often, according to a 2014 New York Times article on one-block streets. 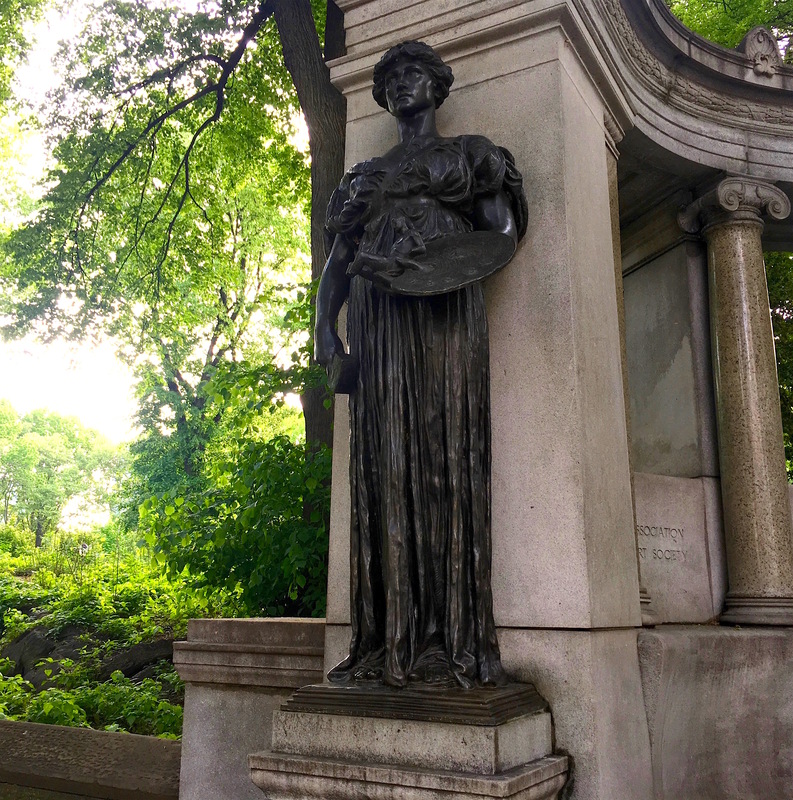 How did New Yorkers of the early 19th century handle summer? 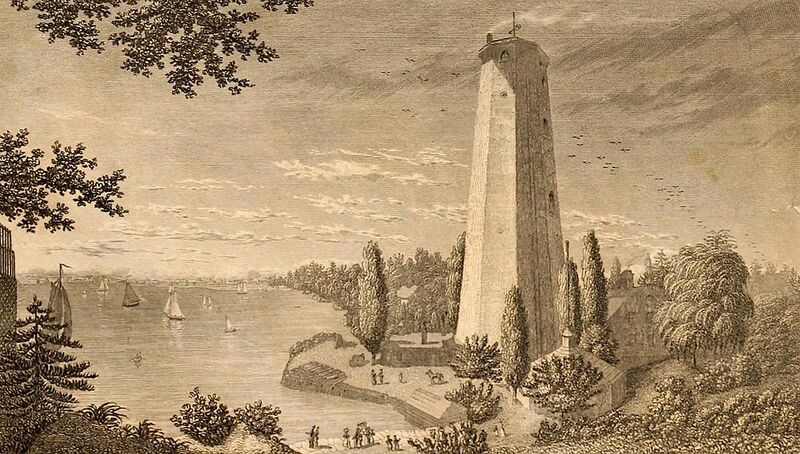 If they didn’t cool off at one of the city’s lovely pleasure gardens, they may have gone to Dandy Point—a popular East River recreation spot at today’s East 13th Street, depicted here by William Chappel. A Harper’s New Monthly Magazine article from the 1882 looked back at Dandy Point, which was just north of several shipyards. 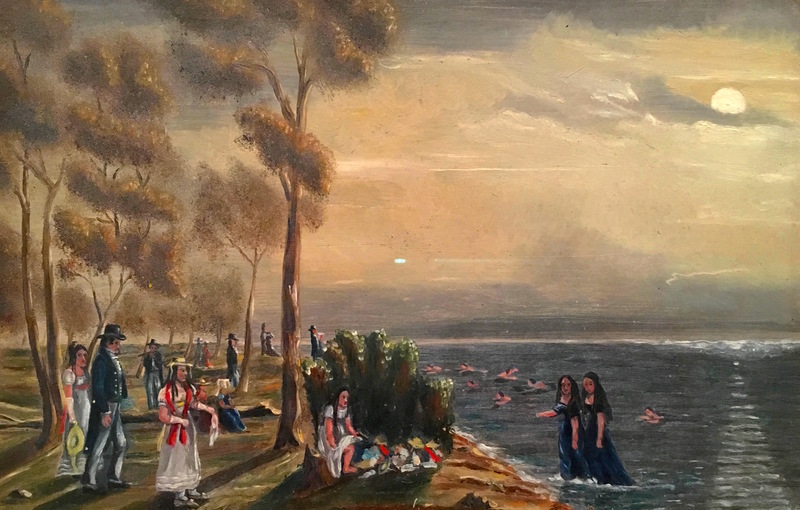 “Above of the northernmost yard the bank of the river sloped into a beautiful beach of clean fine sand, where at evening scores of men and women assembled to bathe in Arcadian simplicity,” stated Harper’s. 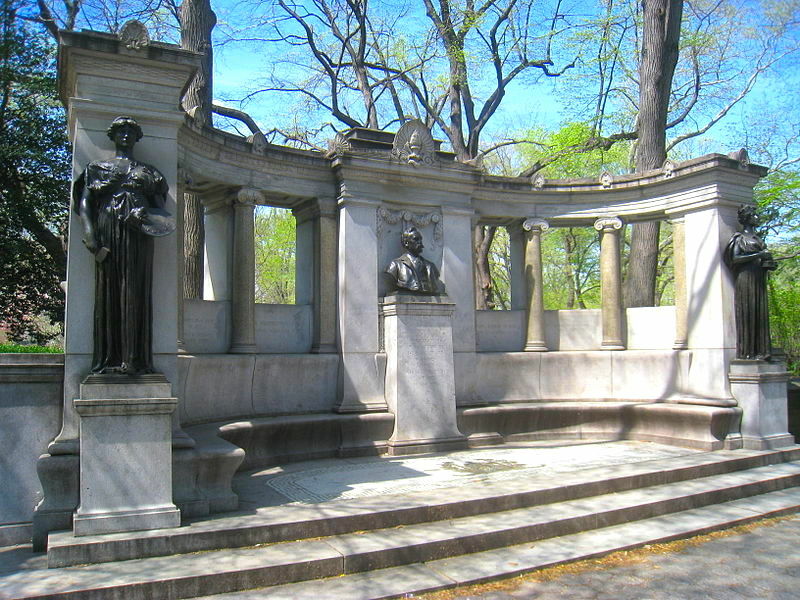 New York has always been home to young men like James Hazen Hyde. 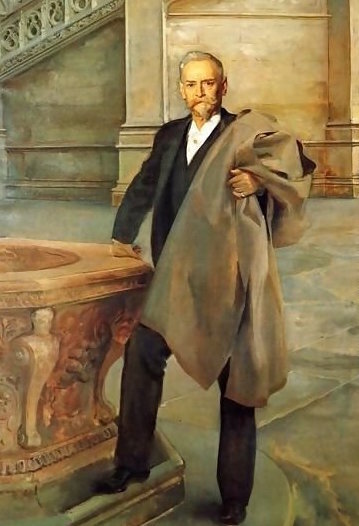 Handsome, cultured, and—as the heir to the Equitable Life Assurance Society—incredibly rich, Hyde was one of the brash young men Gilded Age newspapers couldn’t wait to gush about, and then tear apart, at the turn of the 20th century. A Harvard graduate who loved art and French culture, he lived in his own brownstone at Nine East 40th Street and had his clothes hand-made in Paris. Hyde raced “four-in-hand” coaches (four-horse carriages) with his friend Alfred Gwynne Vanderbilt, and he dated President Theodore Roosevelt’s equally social daughter Alice. 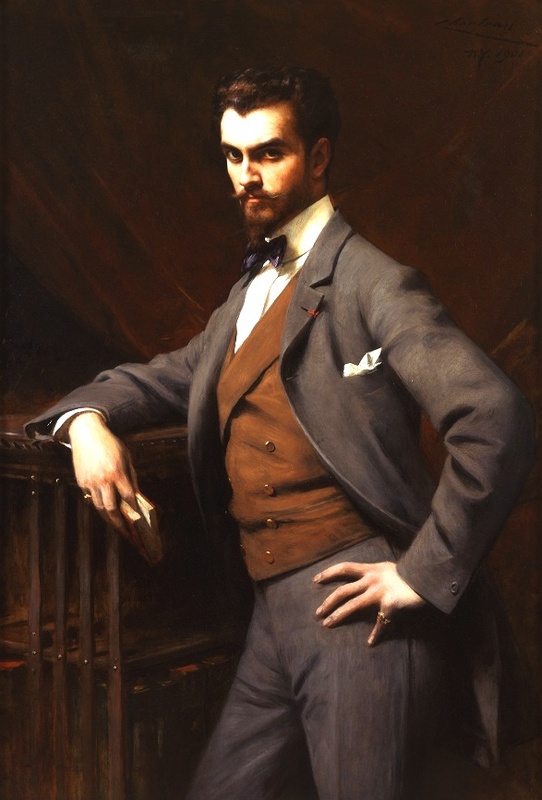 Hyde wasn’t publicity shy; he even commissioned a French painter to do his portrait (above), which gave him a royal air and showing off his dark Lothario-like looks. He also enjoyed a good party. 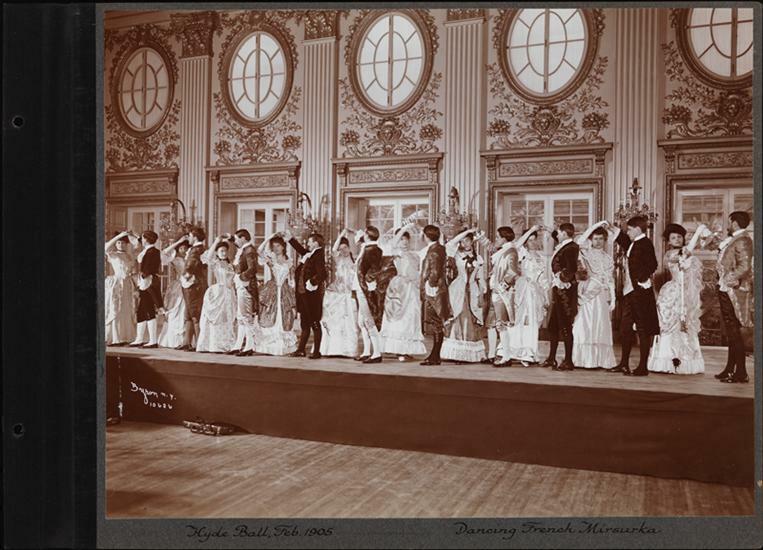 In 1905, Hyde threw what could be described as the most spectacular ball of the century: “a French 18th century–themed costume party for which he would be known all of his life,” wrote Patricia Beard in After the Ball. The ball was held at posh Fifth Avenue society haunt Sherry’s on January 31. At 10:30 p.m., 600 guests were received in a two-story ballroom transformed to look like the gardens of Versailles. 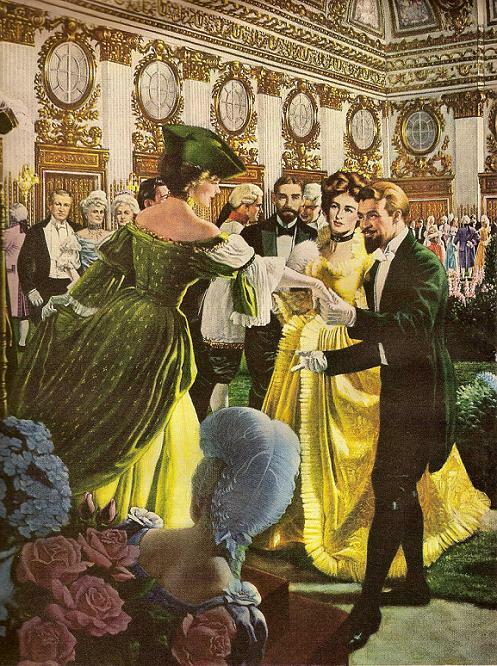 Invitees “wore costumes embroidered with emeralds and pearls, and jewels that had belonged to empresses,” stated Beard. Society writers heralded the event the next day in all the papers. 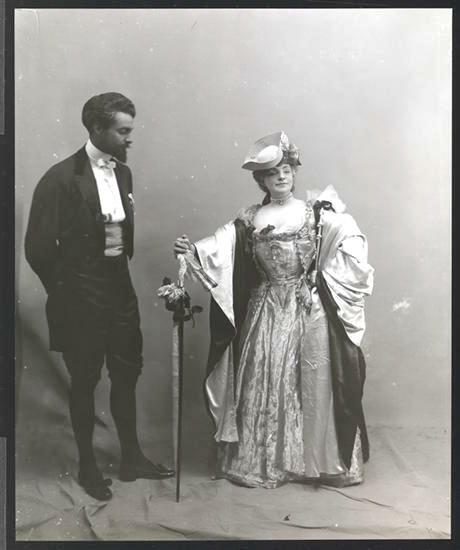 “James H. Hyde Gives Splendid Costume Fete,” wrote the New York Times, printing the names of notable guests (like Mrs. Stuyvesant Fish and various Belmonts) along with a description of what costume they wore. But all the press attention from the ball led to his downfall. 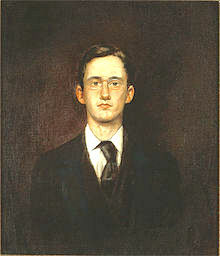 Though Hyde had a majority share in the Equitable company, he was to become president when he turned 30, which would happen in 1906. 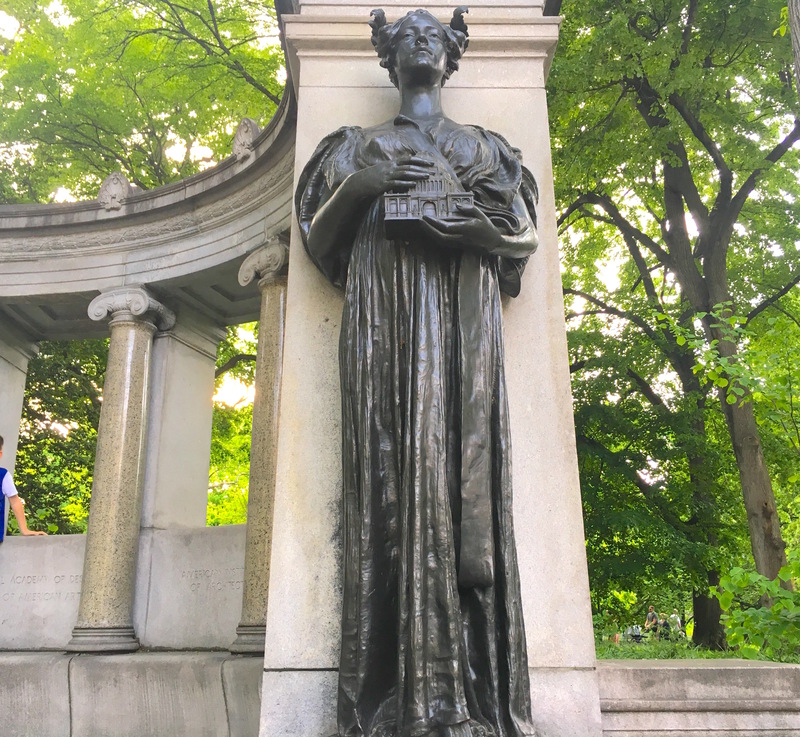 Prominent board members who already wanted Hyde out of the company decided to use the publicity surrounding the ball to charge that he was “too frivolous to run a company,” explained New York History blog. Rumors spread that he spent Equitable money to fund the ball, among other examples of sleazy business practices. Policy holders got angry, and New York State investigated. In December 1905, with his reputation ruined (though he was never charged with criminal wrongdoing), Hyde took off for France. He sold his Long Island estate, carriages, private rail car, and his majority share in the company his father founded and bequeathed to him. 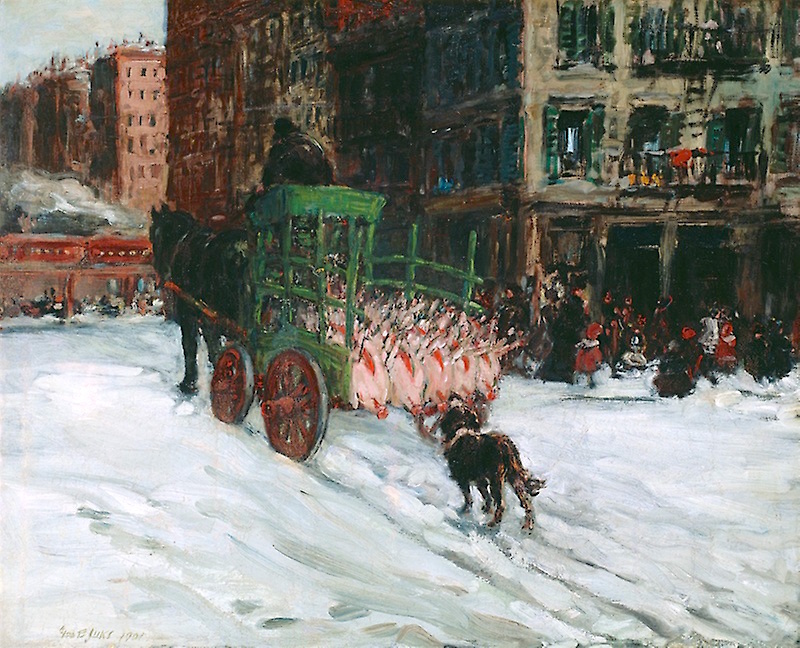 He lived in France until 1941, when he returned to New York, “still attracting attention when he walked along Fifth Avenue in his cape and spats,” wrote Beard. 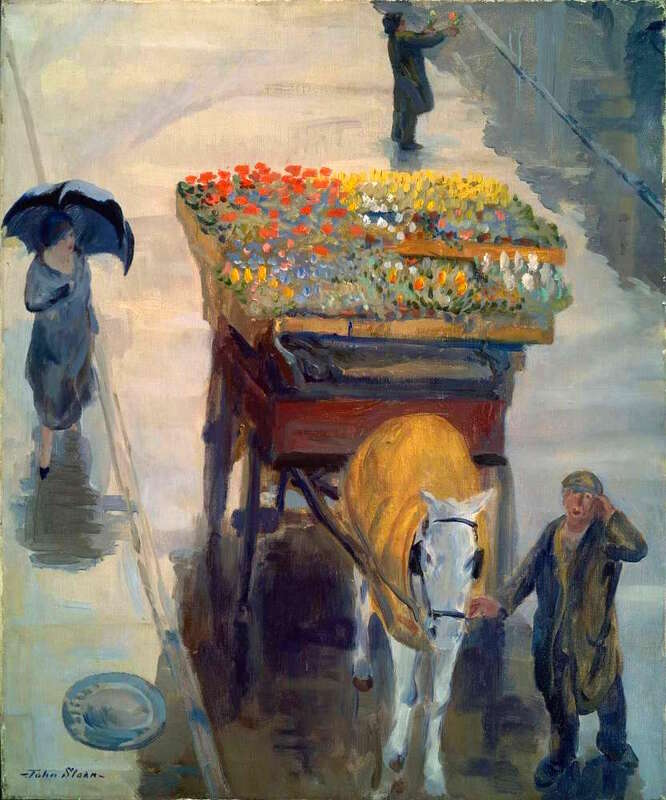 He died in 1959, dapper and wealthy but in obscurity, donating much of his art collection to the Metropolitan Museum of Art. Hyde’s extravagant, excessive ball and the subsequent scandal make a fitting coda for the end of the Gilded Age . 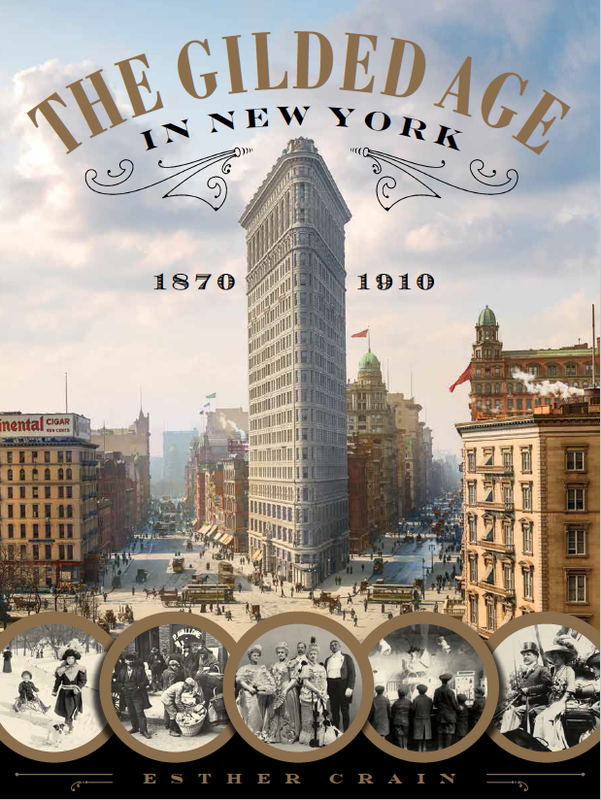 . . which is explored in depth and illustrated lavishly in The Gilded Age in New York, 1870-1910. 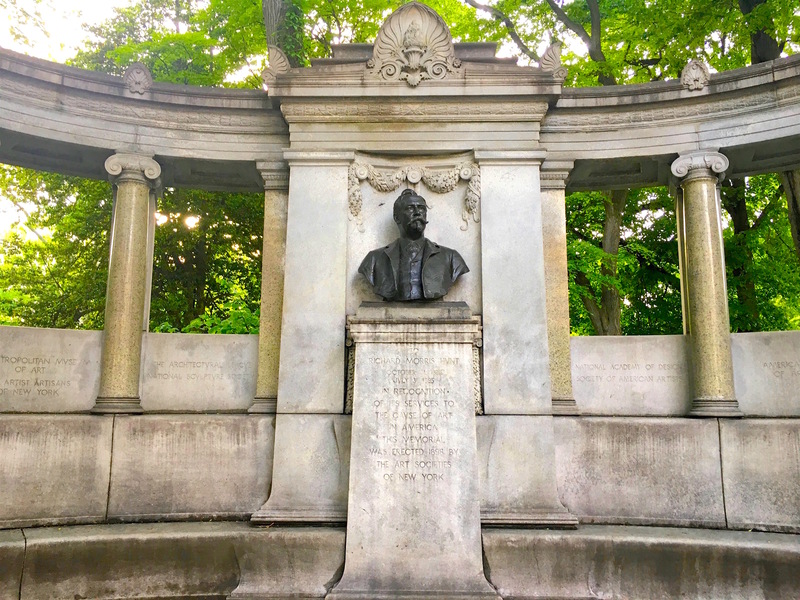 Born in 1801, William Chappel was a Manhattan native who made a modest living as a tinsmith and resided with his wife and kids at 165 Bowery opposite the Bowery Theatre. 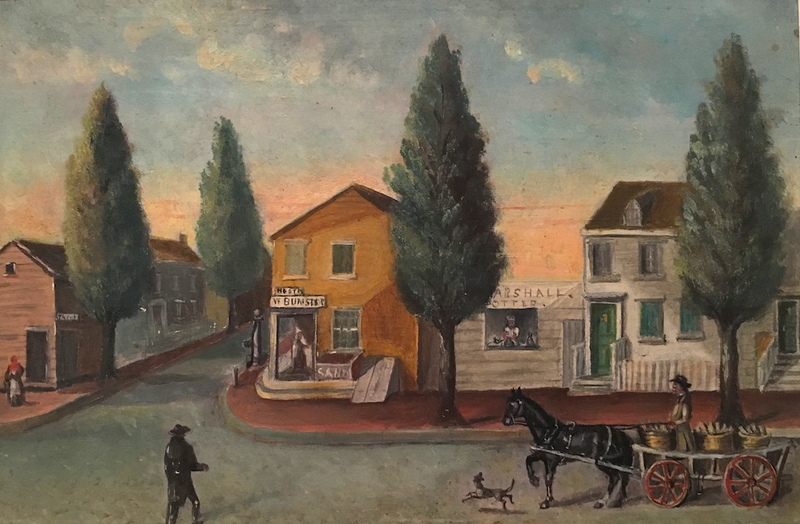 He was also an amateur painter (and the father of a more renowned artist, Alonzo Chappel). 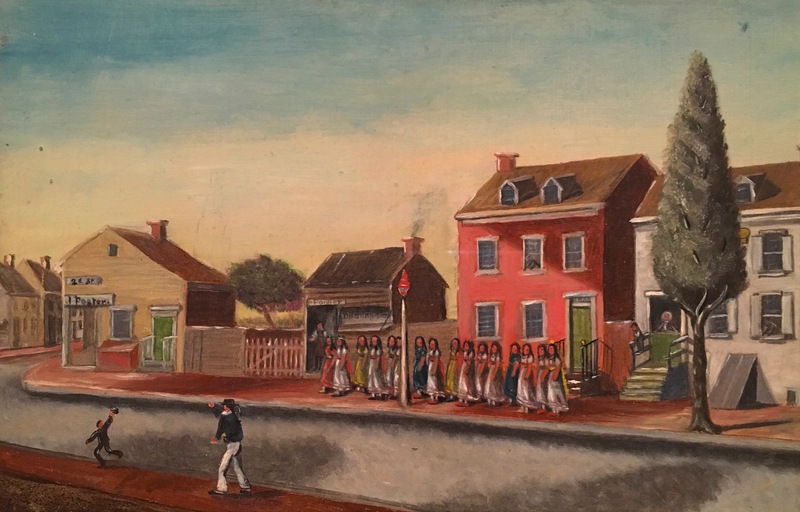 The elder Chappel’s depictions of day-to-day street life offer a fascinating peek at New Yorkers at work and at play in the city of approximately 1810. 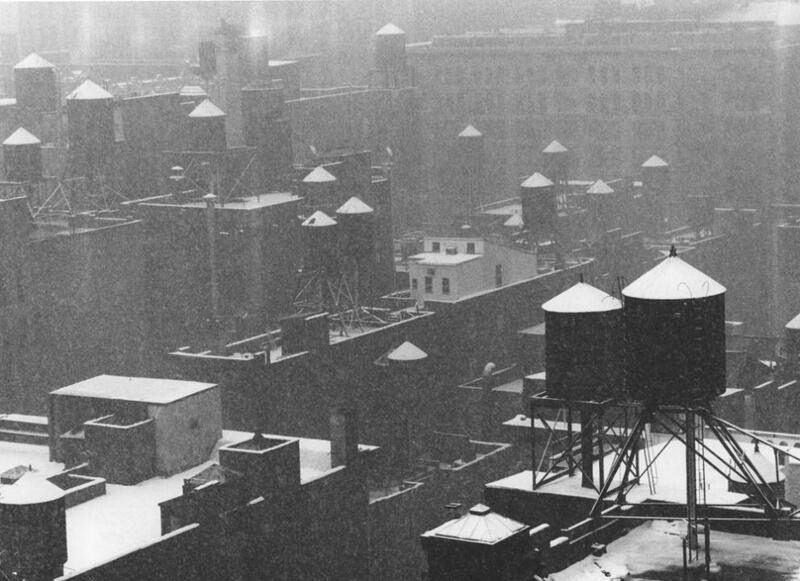 At that time, Gotham’s population stood at less than 100,000, most residents lived in 2- or 3-story wooden houses, the urban core barely stretched past Canal Street, and conveniences such as clean water and mass transit were still pipe dreams. 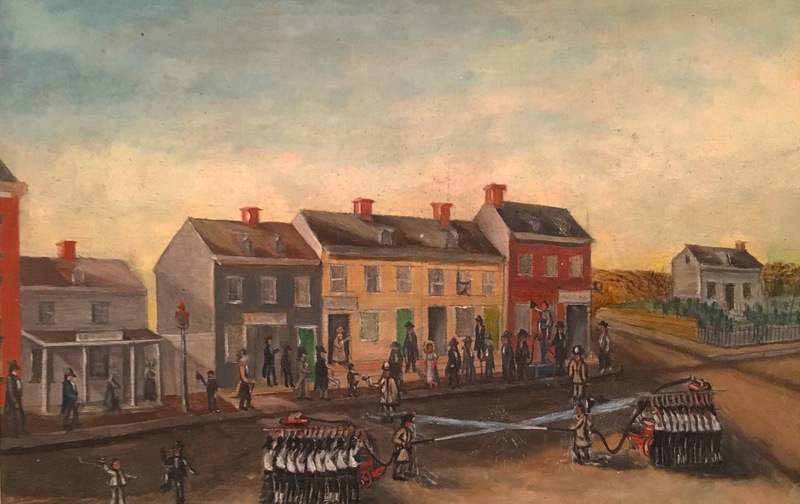 Even without the amenities New Yorkers are long used to, life in the 1810 city isn’t so far off from the metropolis of today. Peddlers sell food—buttermilk, strawberries, baked pears, bread. A watchman, one of the leather-helmeted patrolmen who predate the city’s first police force, walks his beat. Boats ferry people to Brooklyn from a dock at the end of Catherine Street. Well-dressed women head to a tea party. Bathers wade into the cool water at Dandy Point, at today’s 13th Street. Shoppers buy meat and fish at a marketplace called the Fly (from the Dutch “Vly”) Market. Volunteer firemen attract admirers as they wash their engines on the Bowery. 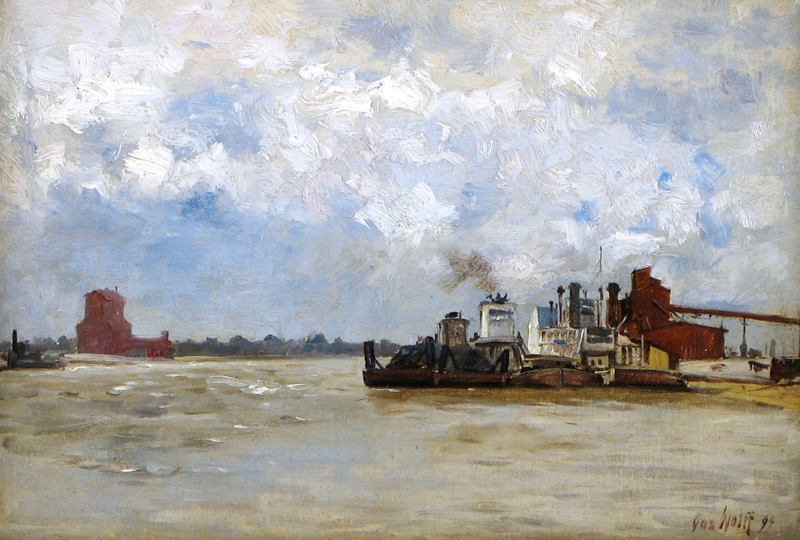 Chappel’s work in currently on exhibit at the Metropolitan Museum of Art, which notes that the 27 small oil paintings on display were all done in the 1870s, decades after the time period they depict.